PCs come packing a host of internal programs and monitoring apps to keep your computer running efficiently. But for every factory-packaged app pre-loaded onto a laptop or PC, there are other premium programs ready to take your tech to another level, improving your system’s speed and power back to factory specs — and beyond. 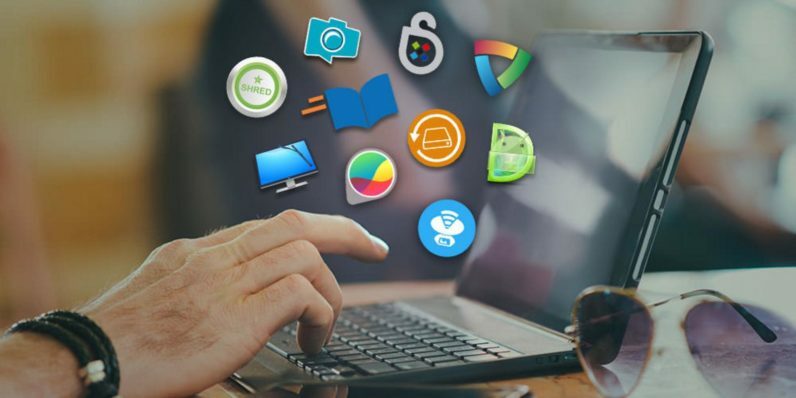 You can trick out your PC or laptop and keep it running just like it did right out of the box with this bundle of Premium PC Power apps, which you can pick up right now (at a 95 percent savings) for only $29 from TNW Deals. This 10-app power pack offers a variety of different helping hands, each working to clean, maintain or pimp out your system. In this bundle, you’ll find apps to optimize and troubleshoot your WiFi connections (NetSpot Pro) and find and remove unnecessary or even malicious files clogging your system (CleanMyPC). Security is a focus of this all-star collection, including apps to build up fully secured firewalls (Glasswire Pro for Windows), spot and eliminate pesky malware (Zemana AntiMalware) and improve and streamline your passwords across all your accounts (Sticky Password Premium). Since computers aren’t built on utilities alone, you’ll also get programs regulating your data management, whether it’s finding and resurrecting seemingly lost files (Stellar Phoenix Windows Data Recovery Home, Android Data Recovery Pro for PC) or making sure data you want to be destroyed never ends up in the wrong hands (Data Shredder 5 Professional for Windows). Even among all this system improvement, take a moment to improve yourself as well with better reading speed and efficiency (7 Speed Reading EX 2017) and the tools to help make your photos leap off the screen (PaintShop Pro X9 for Windows). By getting this Premium PC Power package now under this limited time discount, you’ll be picking up each of these powerhouse apps at less than $3 each.